Newly hatched chicks were randomly allocated into six groups, and each group was given a different feed supplement. 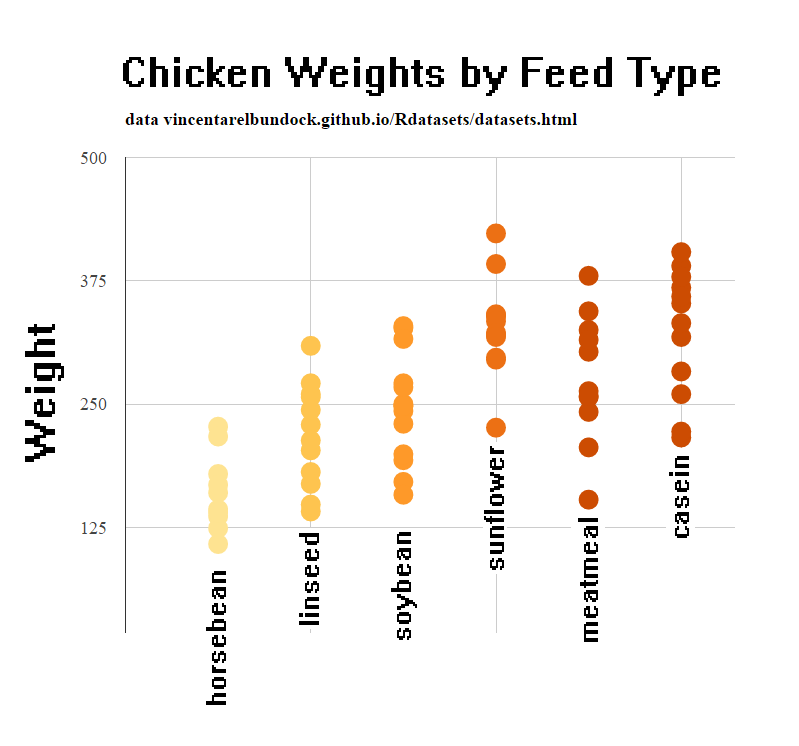 Their weights in grams after six weeks are given along with feed types. This entry was posted in DataViz on 02/10/2016 by MantasCode.